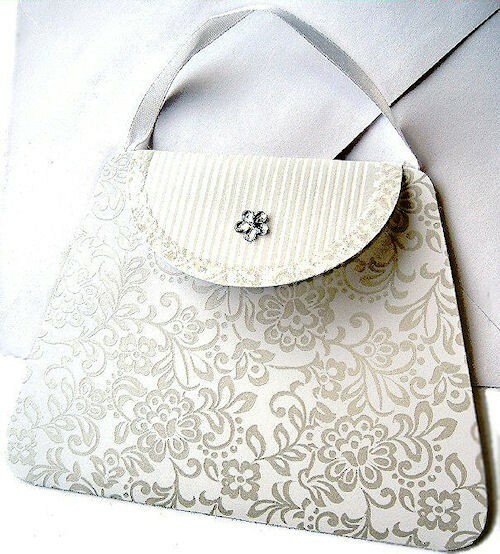 Beautiful Handbag Design Party Invitations represent the ultimate in femininity. 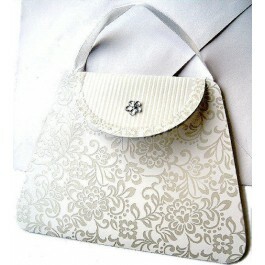 Accented with a ribbon handle, rhinestone flower and glittery trim, each approx. 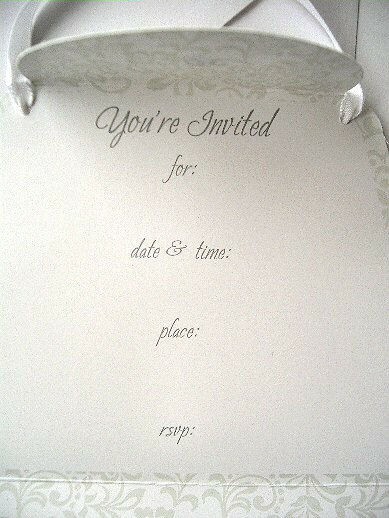 6 x 4 inch trifold invitation is embossed with a shimmery ivory floral design. Surprise your guests with something different that promises to turn your special event into pure magic. Perfect for bridal showers, purse parties or any girls night out celebration. Imprinted lines inside; envelopes included.